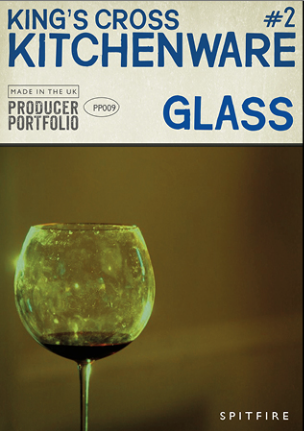 PP009 Kitchenware 2 - Glass, Noise/Sound Design Sample from Spitfire Audio. Spitfire tuned its wine glasses and set the table with its best glass and ceramic vessels. Invitations were sent, the new Kitchenware is ready! 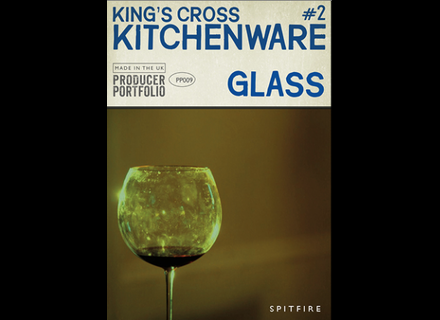 The second Spitfire King’s Cross Kitchenware - Glass library is dedicated to the sounds produced by tuned wine glasses and glass and ceramic vessels. These improvised instruments were “played” with various tools and techniques and recorded with high-end analog gear (Neve console, Cranesong A/D converters, various positions of tube and ribbon microphones). The 4.1GB compressed collection offers more than 12 000 samples with up to 3 velocity layers and 5 round robins per instrument. It is organized in three categories, the first with the tuned glass, the second with the 17-piece vessel in percussive mode with 5 playing techniques, and the third with the same vessels played with water, so you literally have dry and wet material. Kitchenware 2 - Glass requires the full version of Kontakt 4 and 5, it is available for the introductory price of $49 instead of $66 until April 23rd. You can listen to audio demos at www.spitfireaudio.com. Liquid Rhythm v1.3.4 with Push Integration WaveDNA released final version 1.3.4 of its Liquid Rhythm software, specially recommended to Ableton Push users. A multiband noise gate at 123creative.com The 123creative.com team introduces the Multiband Noisegate NX3 VST 32-bit plug-in for Windows, available now with a special price.